Does a small Derby field matter? https://www.geegeez.co.uk/wp-content/uploads/2018/09/geegeez_banner_new_300x100.png 0 0 IanS https://www.geegeez.co.uk/wp-content/uploads/2018/09/geegeez_banner_new_300x100.png IanS2012-06-01 15:10:402012-06-01 15:10:40Does a small Derby field matter? https://www.geegeez.co.uk/wp-content/uploads/2018/09/geegeez_banner_new_300x100.png 0 0 IanS https://www.geegeez.co.uk/wp-content/uploads/2018/09/geegeez_banner_new_300x100.png IanS2012-05-28 11:15:182012-05-28 11:15:18Is Dettori past it? 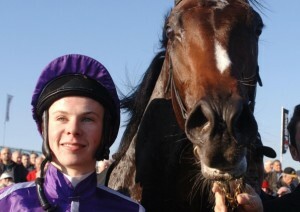 Camelot to win the Epsom Derby 2012? It's the main Classic of the year, the Investec Derby 2012, at Epsom racecourse on Saturday, 2nd June, and here you'll find a full Derby preview, containing the key Derby trends and, of course, some Derby tips (win, each way, longshot). There are some key trends for the Derby, taken over the last fifteen years, and they centre around the top of the market. - No Epsom Derby winner has started at a bigger price than 7/1 since 1998 (when the favourite was a filly!). The year before, 1997, Entrepreneur was sent off the 4/6 favourite having won the 2000 guineas on his previous start. He finished 4th. Since then, Sea The Stars has done the double (2009, 11/4). 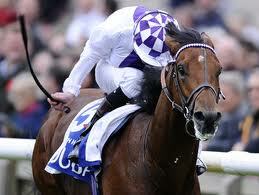 This year's hot favourite, Camelot, will also bid for the 2000 Guineas / Epsom Derby double. - The top four in the betting have won 14/15, and all of the last thirteen Derby's. - Thirteen out of those fifteen were returning to the track within 16-30 days of their last run. 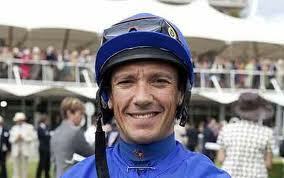 - Twelve of the last fifteen Epsom winners had had between three and five career runs, prior to Derby glory. In essence, if the trends are to be believed, this makes it a two horse race between impressive 2000 Guineas winner, Camelot, and impressive Dante winner, Bonfire. However, just about the last time there was a big upset (1997) was when impressive 2000 Guineas winner, Entrepreneur, was sent off odds on favourite and could finish only fourth..
That year, Benny The Dip, the 11/1 3rd choice, prevailed. He had finished 3rd in the Racing Post Trophy at the end of the previous year, a performance that probably entitled him to consideration in the Derby itself; and then he was second in the Sandown Classic Trial the time before winning at Epsom. Camelot is unbeaten in three races and has a perfect profile fit for the race. Every time I watch the 2000 Guineas, I'm more impressed by the way he won, and he was going away at the end. Whether that makes him a top drawer ten furlong horse, or a top drawer twelve furlong (Derby trip) horse, remains to be seen. But he deserves to be a clear favourite for this race, in my opinion (and just about everybody else's). Bonfire won in good style at York in the Dante Stakes, the other top Derby trial, and he is the clear pick of the home challenge. He and nearest rival, Ektihaam, pulled four lengths clear of the form yardstick, Fencing, and it was another ten lengths back to the rest. With Ernest Hemingway clearly not firing, 'the rest' may have been trees... or, at least, non-stayers. 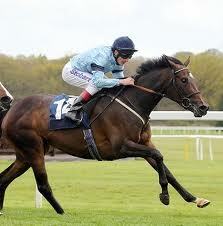 He is another who ticks all boxes and may very well be an each way bet to nothing against such a strong favourite. Main Sequence is third favourite currently and is unbeaten. But his official rating of 106 would be the lowest in the last fifteen years at least to win the Derby. On balance, that's too big a leap of faith, despite the fact he remains a colt of potential. I suspect he may stay even further and it would not surprise me if he wound up running a big race in the St Leger before the season is out. The winner of the Sandown Trial this time was Imperial Monarch, who is unbeaten in two starts. Incredibly, to me at least, it's ten years since Aidan O'Brien won the Derby - with High Chapparal - and that was his second string that day, as Hawk Wing (runner up) was sent off favourite. Imperial Monarch has recorded his two wins on soft ground, and is bred on soft ground lines (German sire loved soft and dam sire, Slip Anchor, also liked it muddy). That doesn't mean Imperial Monarch won't act on faster, just that we don't know he will act on faster. It was a really strange race that last day, as Joseph O'Brien brought Imperial Monarch to the near side and the others stayed on the shorter route, the far side. That manoeuvre was probably an extra half furlong onto the race distance, but was counter-balanced by the better ground he encountered as a consequence. It would take a quantum physicist with a second doctorate in blarney to adequately assess that line of form, and Imperial Monarch can only be called a wild card. He could win, but there's nothing so far to suggest he ought to be joint fourth favourite, in my view at least. Can Parish Hall win the Derby? Parish Hall is interesting. 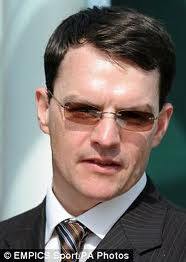 I am writing this before his run in the Irish 2000 Guineas. If he wins and wins well, already a big 'if', then he'd be second or third favourite. But that race is just seven days before the Derby, and only one horse in recent memory has come back to win within two weeks let alone a single week. It's asking too much for my money to be investing in a horse bidding for a Classic double on back-to-back Saturdays. Besides which, he's yet to run beyond seven furlongs in his life, so an extra half mile after Saturday's Guineas run is a massive step up in trip, and another imponderable. Deep down in the midst of the unknown's, there is a horse whose trainer is a magician, and who is unbeaten in a four start career. If he shows up, he'll be worthy of serious respect. And his name is Kesampour. Owned by the Aga Khan, this chap won a muddling Group 2 last time on very soft ground. The slow pace and deep ground may not have been to his liking and he showed a very favourable attitude to repel two different challenges. Class horses are able to maintain their challenge under duress for longer, and the way he battled that day showed he has guts as well as talent. He's previously won on good ground so that ought not to be an issue for him, and I've had a little nibble at 80 on Betfair. Obviously, if he doesn't run, I'll lose my tenner, but I got drawn in by the odds... (He's a best priced 33/1 with Skybet as I write, 20/1 elsewhere). So there you have it. In my opinion, the fancied horses will probably fare best again, but there is a dark horse and an each way bet to nothing in the field too.